With over 25 years in the residential and commercial remodeling & building industry, Scott brings a wealth of knowledge about all that encompasses this field. Scott's work ethic demands high quality, time efficient and uniquely custom outcomes to each room addition, remodel and home build. He enjoys working with homeowners to help them plan, design and create their ideal renovation. 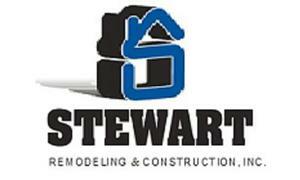 Stewart Remodeling & Construction was established in 1989 by Scott Stewart. Following his vision, Scott established a company that is qualified in all aspects of remodeling and construction. Superior service and effective communication are a top priority for Scott and his crew. For over twenty-five years, Stewart Remodeling & Construction has left customers with custom designed remodels, room additions and home builds. The company sets itself apart from the competition by remembering that superior results cannot be achieved if the customer's wants and needs do not take precedence. This mindset has allowed Stewart Remodeling & Construction to be successful for twenty years and counting. To experience customized service that will exceed your expectations,contact us today to schedule an initial meeting to begin vision planning and designing your next remodeling project or custom home build.